Today looks like a good fishing day. The air temp should peak around 64 degrees, some light rain, clouds, and winds around 5 – 10 mph. We may see a thundershower but the total precip. should be under 1/4″. Yesterday was another mix of clouds and sun. There was some hatching early and again in the evening. Sulphurs, cahills, caddis, and a few tiny olives. Mid day some people were able to find fish eating caddis. 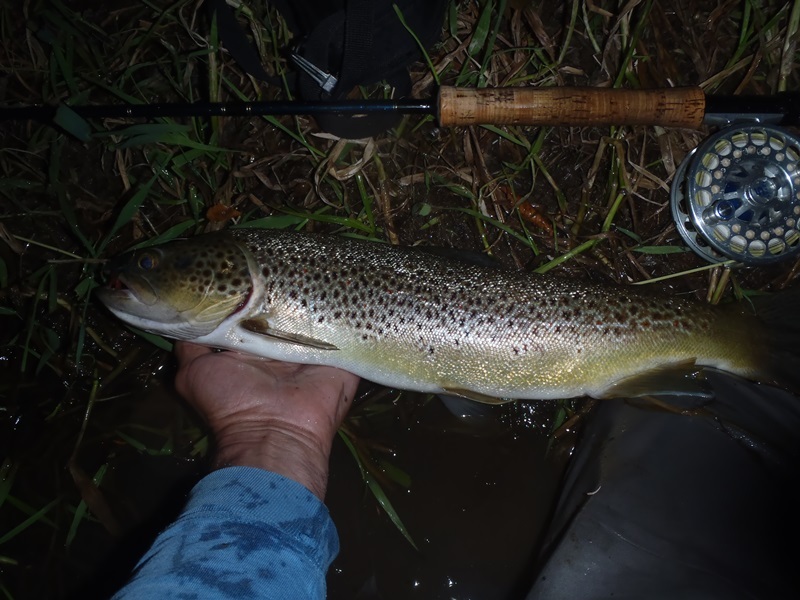 Blind casting March Browns and cahills will still bring up some fish in the riffles. We are seeing some isonychias but a lot of them are crawling out on the rocks in the lower water levels. Between the isonychias and caddis out there a good wet fly fisher should do well.